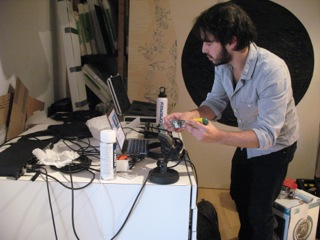 PERFORMANCE: A collaboration between Julian Stein and Chantale Laplante in a live Montreal-Tokyo telematic performance. 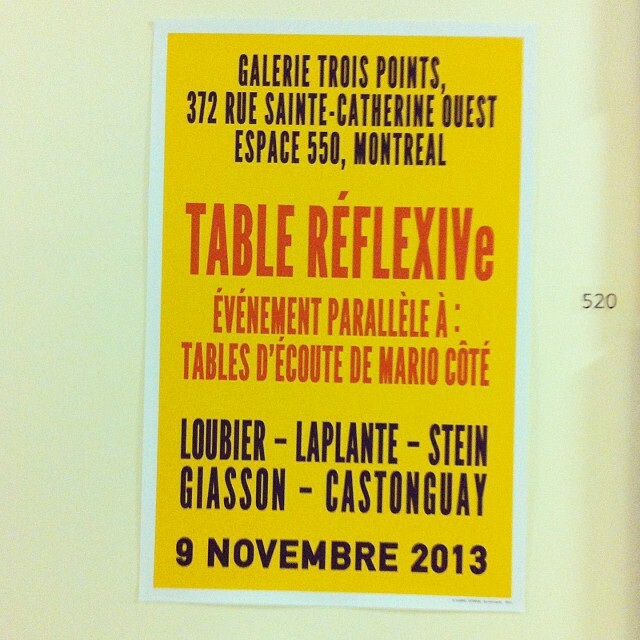 As part of the retrospective exhibition of Mario Côté titled Tables d’écoute (Listening Tables) their performance investigates possibilities of widening the actual space of the listener through various “sequence-jeu” of found objects, in the gallery space in Montreal and an artist atelier in Tokyo. 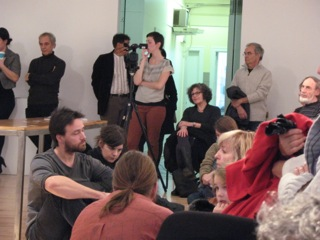 Through a device specifically set up for this performance, Stein and Laplante propose an interplay between proximity and far away presence, swaying back and forth what is close to the ear but perhaps coming from afar, and what might be on the edge of imperceptibility but physically close.